My NewVIc story: Kabir Jagwani. My journey at NewVIc started in 1998 after I achieved 10 GCSE’s at secondary school and went on to do A-Levels in maths, physics and performing arts at NewVIc. A mixed combination because I wanted to balance my options with science and arts subjects. It was at NewVIc that I was inspired by my maths teacher; he made students feel comfortable and confident when tackling new topics and gave beautiful examples for every mathematical concept covered with step by step instructions. He allowed us to make mistakes and to work through our misconceptions. I had an incredible 2 years and made some amazing friends. The college provided really good facilities and I was also able to work on my table tennis and cricket. 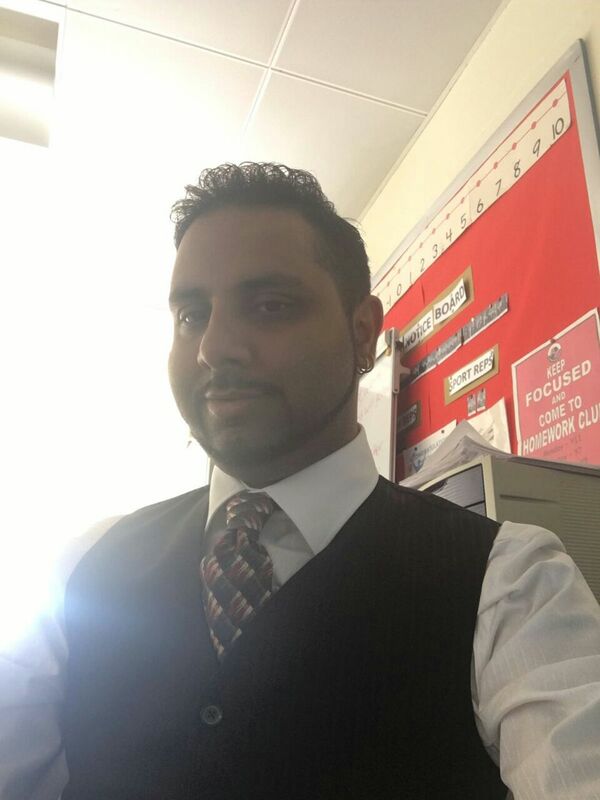 At the end of my 2-year programme I decided I wanted to do some part time teaching and got a job working for the London Borough of Newham teaching ICT on summer school programmes. I then went on to study Electrical and Electronic Engineering at the University of East London where I achieved a 1st class Honours degree. I was offered the opportunity to study for a Post Graduate Certificate in Education (PGCE) in secondary mathematics where students were paid to do the course because of the shortage of maths teachers. After my PGCE, I was offered a teaching post by a few schools but decided to enhance my skills working at Stoke Newington school as a data manager to learn about student tracking programmes. After that, I was offered a position at The Cumberland School with a good starting salary. I decided I would do a year and complete my NQT programme in order not to lose the value of my PGCE. Time has flown and I have been working at Cumberland since 2005. Since then, I have moved into a middle leader role as work-related co-ordinator and a few years later I achieved my Chartered London Teacher status. I then achieved my greatest goal, becoming an Advanced Skills Teacher (AST) which requires a very rigorous external assessment. Working as an AST enabled me to further develop my leadership skills and I was then promoted to my current role of Associate Assistant Head. I have taken on many roles and responsibilities and been part of the leadership team at a time of change and implementation of new models for the curriculum, the school day and assessment. I am working to devise an intervention programme for our year 7 intake which requires looking at primary school data and placing pupils on the correct intervention pathway to improve their numeracy or literacy skills by providing them with extra support in small groups. My other roles include planning and teaching the key stage 3 and 4 curriculum in ICT and Mathematics. I help to create and share resources, update schemes of work. In the past I have also coached the school cricket team, helped organise diversity events, judged a talent contest and the Jack Petchey Speak Out challenge, mentored and run the PGCE and schools direct programme. I have provided informal support for colleagues and been involved in a lot of coaching. I have run internal professional development sessions to all staff on: Stretch and Challenge, The Outstanding Lesson, Visible Learning, TEEP and many more. I have supported newly qualified teachers when they join the school and had some amazing opportunities to support pupils on educational visits to places such as the Globe Theatre and a 3-day visit to Paris. The passion I have for education has come from my own experiences at school, college and university. I was born, brought up, studied and worked in Newham and this is my chance to give back to the place which has given me the opportunity to work with young people which is surely the most rewarding career a person could ask for. This entry was posted in Education, Guest blogs, NewVIc and tagged Cumberland school, Education, Newham, Newham Sixth Form College, NewVIc, NewVIc alumni, teaching, University of East London. Bookmark the permalink.